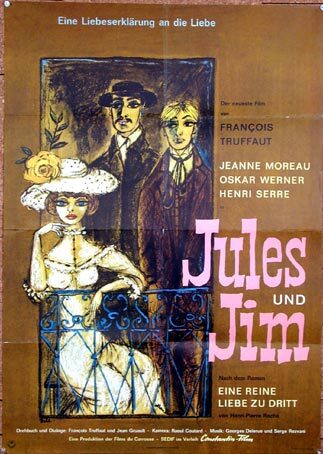 In Paris, 1900, two friends, Jules (Austrian) and Jim (French) fall in love with the same woman, Catherine. But Catherine loves and marries Jules. After WWI, when they meet again in Germany, Catherine starts to love Jim... This is the story of three people in love, a love which does not affect their friendship, and about how their relationship envolves with the years. 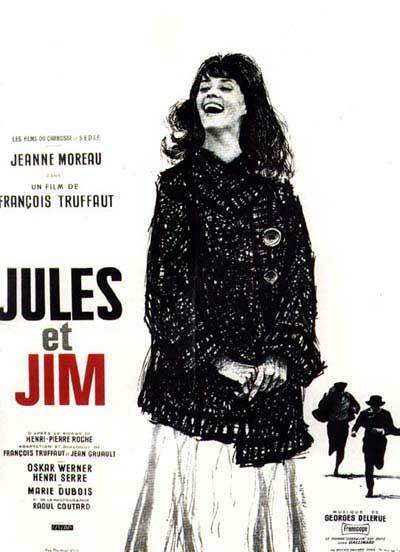 Jules et Jim embodies the beauty of French cinema The French have a remarkable tendency of creating free-flowing, poetic movies that transport this particular art form into subtle, poignant flights of fancy and nowhere is this more evident than in Jules et Jim, which embodies the beauty of French cinema. 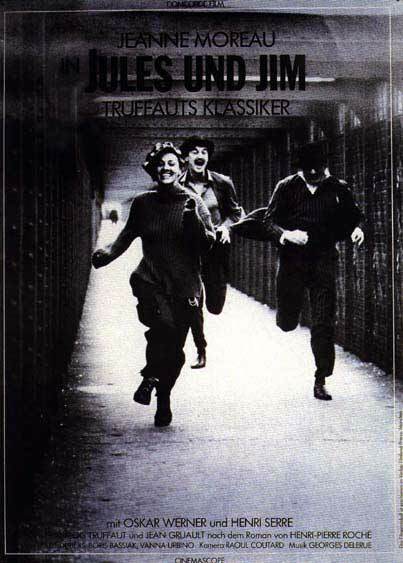 I believe that Truffaut is the most poetic filmmaker in cinematic history. 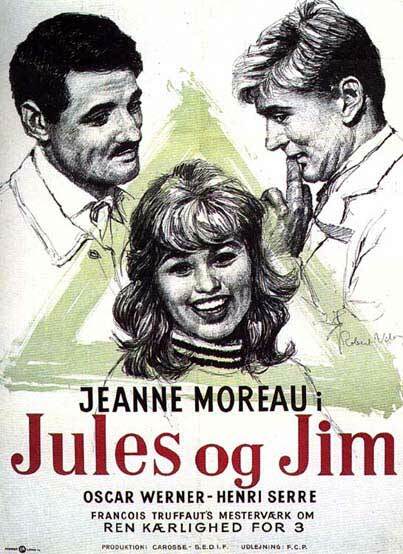 Jules et Jim is his finest moment and, in the ever fluctuating relationships between the Oskar Werner, Henri Serre and Jeanne Moreau characters, we are allowed to be taken along on a refreshing, beatific ride through the passionate simplicity of love and friendship. 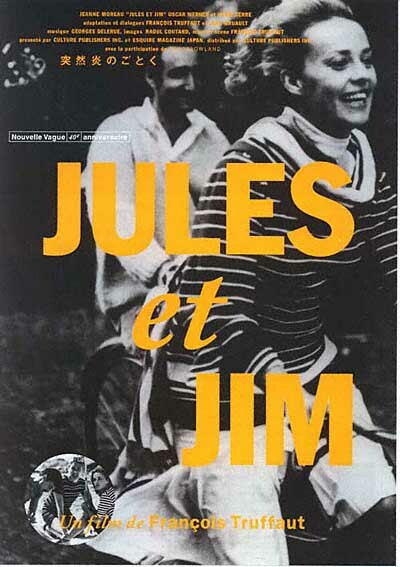 The leisurely philosophical musings of the two men in Jules et Jim are counterbalanced by Moreau's bright, airy amorality. She brings about a radicalism and sense of unpredictability in the movie that is nonetheless charming and utterly innocent and benign. Moreau's instinctive will makes her out to be a selfish attention-seeker but without that this movie would not be so surprising and liberating. 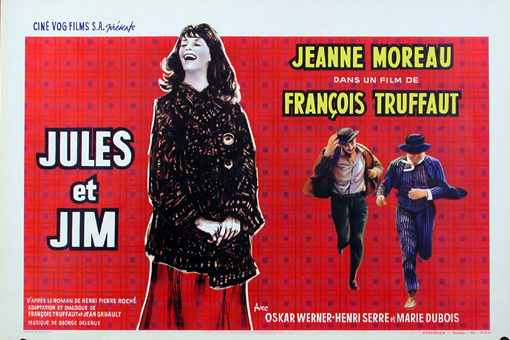 Truffaut's does not stick to a rigid narrative form, like many '50s and '60s French New Wave directors, and he allows the stream of consciousness dialogue and the ever-changing fortunes of Moreau's erratic relationships with the men to dictate the structure. 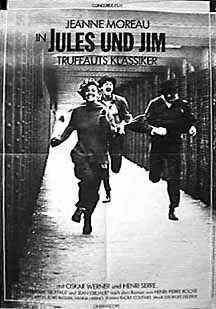 Jules et Jim has a certain clarity of vision. 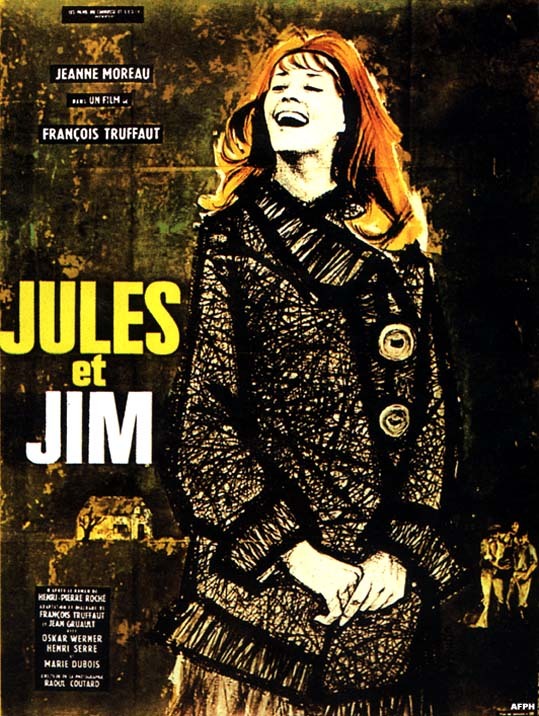 French love stories are often based upon dialogue that is rife with throwaway witticisms, perceptive trivial observations, and explosive utterances of love or despair, and Jules et Jim is no different. It can drift along tranquilly until a sudden unexpected change of mood occurs and everything is turned on its head. Moreau's leaping into the river after a civilised night out at the theatre is a delightfully liberating moment, utterly pointless yet still gleefully uninhibited. My finest memory is the heavenly ditty by Moreau which sums up both her and the movie's personality and atmosphere. So simple, so sublime, and always tugging away in the most sumptuous manner at the heartstrings. I don't think I have ever got that tune out of my head. 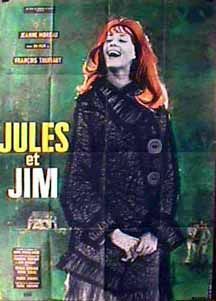 If you want to experience the sheer majesty of cinema, Jules et Jim just has to be seen. Not only is it bright and breezy but it has tragic moments of pathos as well. There is a surprise at every turn, almost always caused by the Moreau character, and such is the freedom of her spirit and the freedom of the movie's spirit, you can forgive her every action and fickle about-turns. There is no sense of permanence with her. 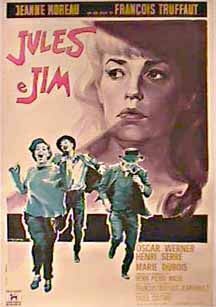 Jules et Jim only confirms my belief that the French make cinema's greatest romances. Utterly natural, hardly ever contrived, and so cool and graceful.